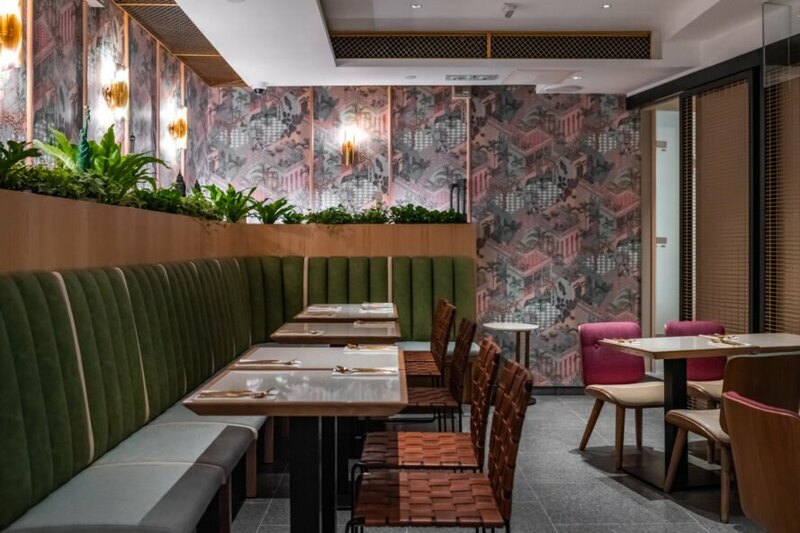 Hong Kong’s vegan and vegetarian scene has proliferated in the last few years, and now the autonomous territory of China has its first vegetarian restaurant within a hotel. Veda, inside the freshly revamped Ovolo Central Hotel, is open for business. Well-known Australian vegetarian chef Hetty McKinnon devised the menu, and MALE and KplusK Associates designed the space. Diners will find lots of Asian influences on the menu, from Nepalese momos made with ricotta, spinach and smoked chili to a congee featuring shitake mushrooms, quinoa and kale chips. Desserts include dark sponge cake and a vegan fig cheesecake with caramel sauce. While everything on the menu is vegetarian, the many vegan options are clearly marked. The Ovolo Central has a modern look. Its façade boasts a glazed black metal grid that invites ventilation and natural daylight. The hotel describes the décor of its 41 rooms as having an “edgy, rock-n-roll vibe” with many commissioned artworks. The 700 square foot Radio Suite, designed by award-winning firm ALT-254, takes up the hotel’s entire top floor for unbeatable Hong Kong views. 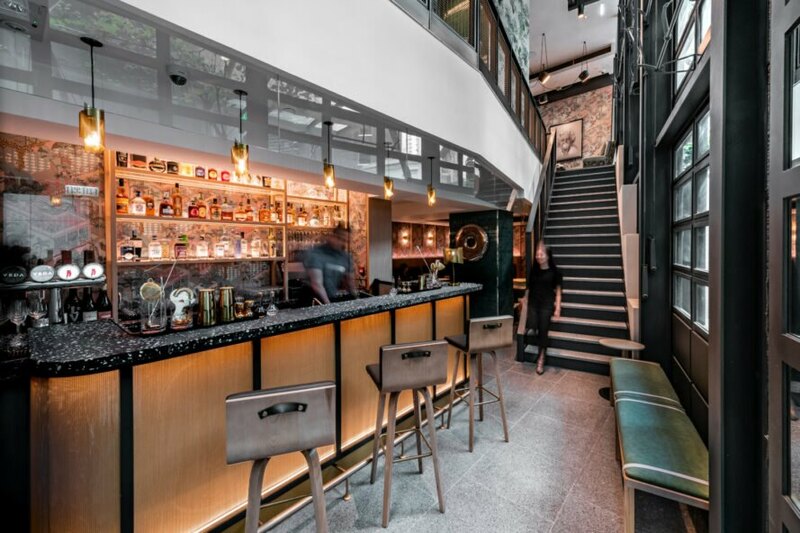 Ovolo is a private, Hong Kong-based, family-owned hotel brand with properties in Hong Kong and Australia. 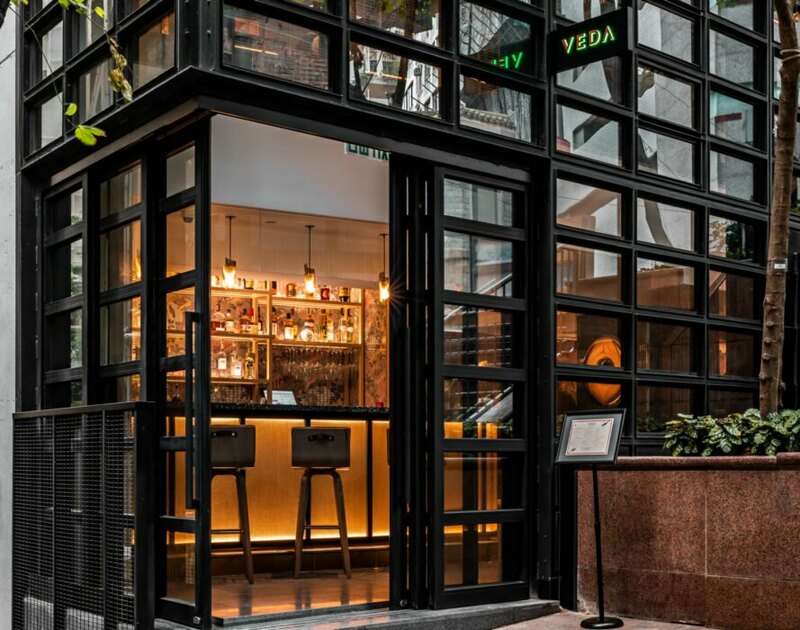 Veda is Hong Kong's first vegetarian restaurant inside the Ovolo hotel. The hotel has 41 edgy, rock-and-roll themed rooms. Australian vegetarian chef Hetty McKinnon devised the menu. The menu will feature lots of Asian influences on the menu.